(RED) celebrates a remarkable milestone: since its inception it has raised more than 500 million dollars in support of the Global Fund, helping to finance programs that offer prevention and counseling services, HIV tests, drugs and care in the areas of greatest need. "Apple's commitment to fighting AIDS is unmatched. Not only for the $ 160 million raised to the Global Fund, a staggering figure that has had an impact on the lives of millions of people, but also for the ability to stimulate debate and awareness, to focus on this theme so that it always remains in the foreground, "said Deb Dugan, CEO of (RED). 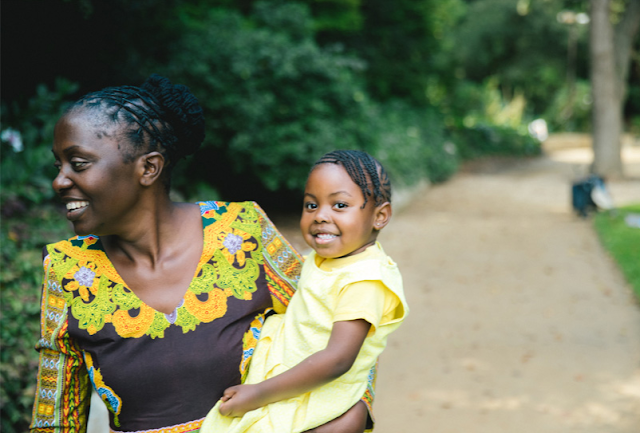 "This is an unshakeable support that we cannot underestimate, and we thank all the Apple employees for helping (RED) reach the milestone of half a billion dollars donated to help eradicate this disease." To leverage the collective power of all Apple customers on World AIDS Day 2017, over 400 Apple Stores will exhibit a red Apple logo for a week, and Apple will donate 1 dollar to the Global Fund for every transaction made with Apple Pay in stores, online and in apps. 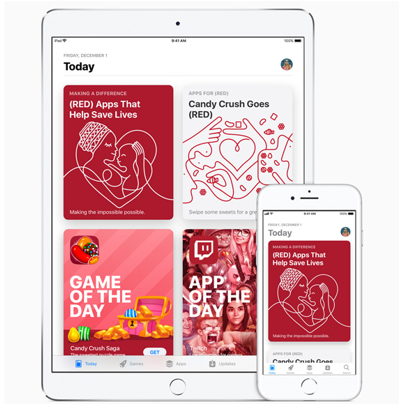 Customers accessing the App Store will see a panel that is different than usual, with lots of themed stories and a behind the scenes story about the work of developers who support (RED). In addition, King's video game development company will also launch some limited-edition bundles for its most popular titles, including Candy Crush Saga, Candy Crush Jelly Saga and Candy Crush Soda Saga, and all proceeds from in-app purchases will be donated to the Global Fund.